High quality 20 oz. ceramic 3-D mug. Become a multidimensional master of materialisation with your coffee or tea in tow with this 20 oz. 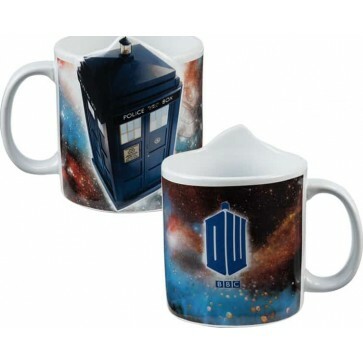 Tardis 3-D Sculpted Mug! Beautifully crafted from high end ceramic Microwave safe, hand wash recommended.